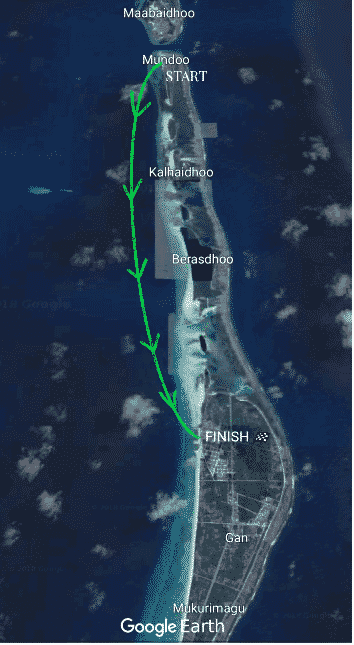 This morning’s departure from Mundoo was one of the more interesting we’ve had, and we’ve now made it back to Gan before we start our loop of western Laamu in a few days. We got up early(ish) to have a final magu meander before the 8.10 ferry… grabbing a little breakfast along the way (those little nutro biscuits and an apple), as soon as the shop opened its doors. Then, back to our host’s place to pick up the bags… we’re a little ahead of schedule…’coffee beynun?’…’yeah, why not’ (with foni roshi). Then, Dan barrow-kuranee‘d to the harbour, where we found more people gathered than we’d seen in our two days here. 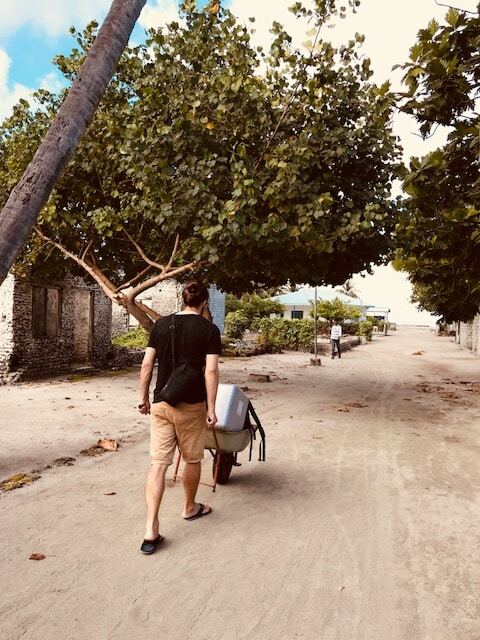 Turns out, ferry o’clock is the best time to meet people… especially if the ferry sails right past, as it often does on Saturdays, having reached full capacity since leaving Kalaidhoo. A second run from Gan is normal. Speaking of reaching full capacity, we were soon invited for another breakfast while we were waiting on the harbour-side joali (this time, sweet tea, roshi, bilimaga asaara, mushi mas and riha). Finally, the ferry came back for us before the ever-more-elaborate breakfast dhaturu could continue.